With the impending approval of Bill HB 514 which allows for municipal charter schools in a budget process that is intentionally kept within committee and out of democratic debate, this voter has to ask you one question (actually many): Do you realize what you have championed? Really. Do you know what Pandora’s Box you have opened and what the lasting effects actually could be just so you satiate your political views? 1. You probably just raised everyone’s property taxes in the state. With the ability to now use local property taxes to help fund local schools (a measure which seems to conveniently appear in the budget to lay a path for HB 514), whatever the state now mandates for public schools and does not choose to specifically fund can now be passed on to local school systems. Think about the class size mandate that will come around again next year. The reprieve given this year was in part due to the incredible blowback from local districts, which correctly cited the state’s having not funded it. Implementation of the class size mandate would have created a seismic rip in school system budgets. Now it seems that there is an avenue to pass the cost of any state mandate to the local LEA’s. Instead of having to field concerns about whether or not the state will fund certain mandates, the state can now just slide the financial responsibilities to cities and counties, some of whom are already economically challenged. If more of a burden to fund schools comes to the local systems, imagine the battles waged between school boards and city councils/county commissions to find ways to get more revenue when they are already tasked with building maintenance, construction, and financing other non-state funded educational resources. 2. You probably just weakened every public school system in the state whether or not it currently has a charter school. Now, charter schools can ask the local district for funds to finance anything from custodians to benefits for charter school teachers. 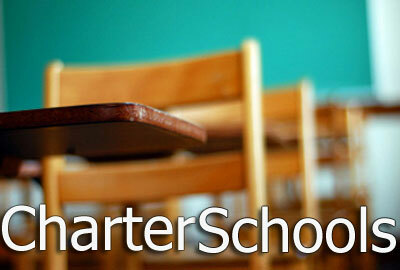 Be reminded that charter schools are not run by local systems. They are run by the state usually through for-profit brokers and do not have to abide by the same requirements as traditional public schools. They can also govern their admissions processes – something traditional public schools are not allowed to do because it is against the very democratic ideals concerning public education that you as a lawmaker swore to uphold. Simply put, you are allowing local funds to help build “state-run” schools which will profit charter school companies that can keep certain students out of its classrooms. And if you want to argue that these charter schools will be locally-run by the cities involved with HB514, then you are redefining what a charter school is and exposing current regulations to broader interpretations that could lead only to more discord. If you can logically and conclusively explain how HB 514 will not exacerbate that statistical nightmare, then you are either able to turn straw into gold or suffer from the worst case of confirmation bias in recent history. After the Brown ruling, as well as Swann v. Charlotte-Mecklenburg Board of Education, which held busing was an appropriate way to integrate schools, Charlotte-Mecklenburg became, by the 1980s, one of the most racially integrated school districts in America. Such efforts have led to long-term benefits for Black Americans including greater income, better health outcomes, and lower incarceration rates. For a man who lived through enough social movements involving civil rights and gender equality, you possess too much historical perspective not to reflect on and see that HB 514 is not about promoting “school choice.” It is building walls, physical and metaphorical, while passing the costs to those who need strong public schools, not charter schools, the most. Stuart Egan, NBCT, is a public school teacher at West Forsyth High School in Clemmons who blogs at https://caffeinatedrage.com/.